Home> Resource> iOS Transfer> How to Transfer Photos or Pictures from iPhone to iPhoto Easily? If your computer is running on Mac OS X system, then I guess that you're not strange with iPhoto, right? 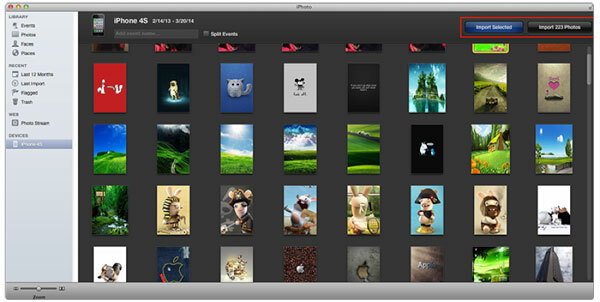 We know that iPhoto is a built-in photo managment software for Mac users. With it, you'll have a new way to view, edit or manage photos on your Mac computer. And it is known to all that iPhone always be used as a digital camera than simple cell phone in the daily life. 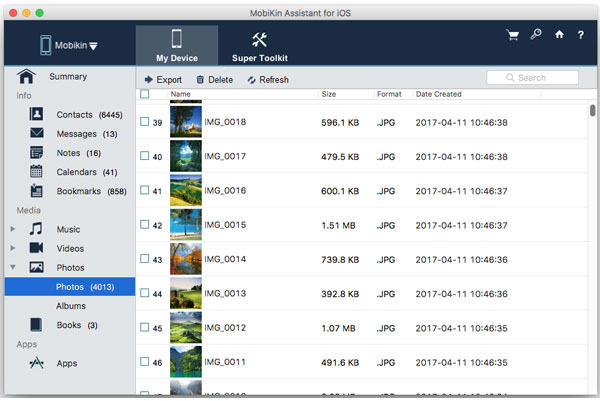 How many photos on your iPhone X, iPhone 8 Plus, iPhone 8, iPhone 7/6S/6 and do you want to transfer them to your Mac iPhoto for management or free your iPhone space? If your answer is absolutely YES, then you've been the right place. - Other data like music, movies, playlists, books, TV shows, etc. can also be backed up on your Mac computer with one simple click. - Two different modes for you to preview and select files as easy as 1-2-3. Tips: Here is also a Windows version for your reference. Using a USB cable to link your iPhone devices to the Mac computer, then install and run the iPhone Transfer for Mac on your disk. Then it will detect your device automatically, then scan and show the files on your iPhone in the left panel. Note: iTunes need to be installed on your Mac computer, but it is not essential for you to run it manually. Click "Photos" option in the left panel, and then you're allowed to view the iPhone pictures in the program in list or thumbnail mode as you like. Find your target photos and mark them one by one. After that, you can click "Export" button to save them on your Mac computer in the original quality. 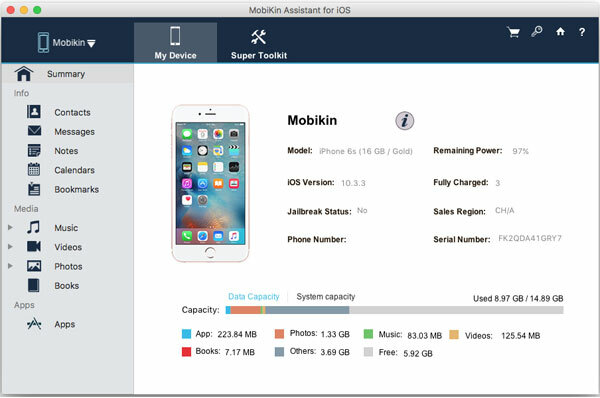 By the way, if you wish to know more methods to transfer photos from iPhone to Mac, then don't hesitate to check the link to get more info. Launch iPhoto on your Mac computer, then pick up the photos you wish to import to iPhoto on the Mac computer. After that, you can click "Import" button to sync all photos quickly. Media content: Camera Roll, Photos, Voice memos, Movies, TV shows, Podcasts, Ringtones, Books, Audiobooks, Playlists.